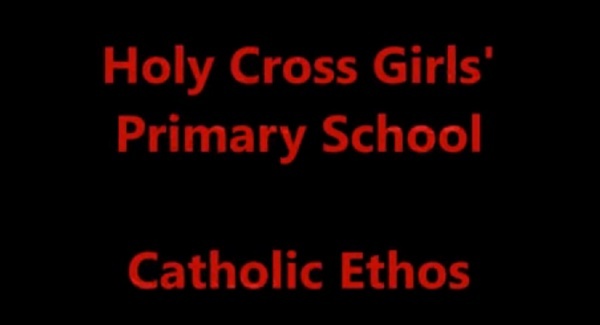 Holy Cross Girls' is a very welcoming school, characterised by a friendly, well ordered atmosphere. It provides a safe, caring and stimulating environment which allows our children to grow in confidence, developing and achieving to the very best of their individual abilities. Deliver the curriculum in accordance with our statutory obligations. Provide a secure and happy learning environment in an atmosphere of Christian love which enables the child to develop fully both academically and as an individual. Work closely with parents and encourage their involvement in the education of their children. Maintain and develop close links with the local community. By creating a climate of emotional security so that the child will feel welcome and at home in the school. By having high expectations of each child. By expecting hard work, good manners and respect for others. By welcoming and expecting the whole hearted support and involvement of parents. By promoting a positive self image in each child so that she realises that she is unique, with particular gifts & talents. By using appropriate teaching methods and providing learning opportunities with challenge and variety. The hard work and co-operation of each child, the active and involved support of her parents and the professional commitment of the teachers, encourages each child to reach her highest possible standards.